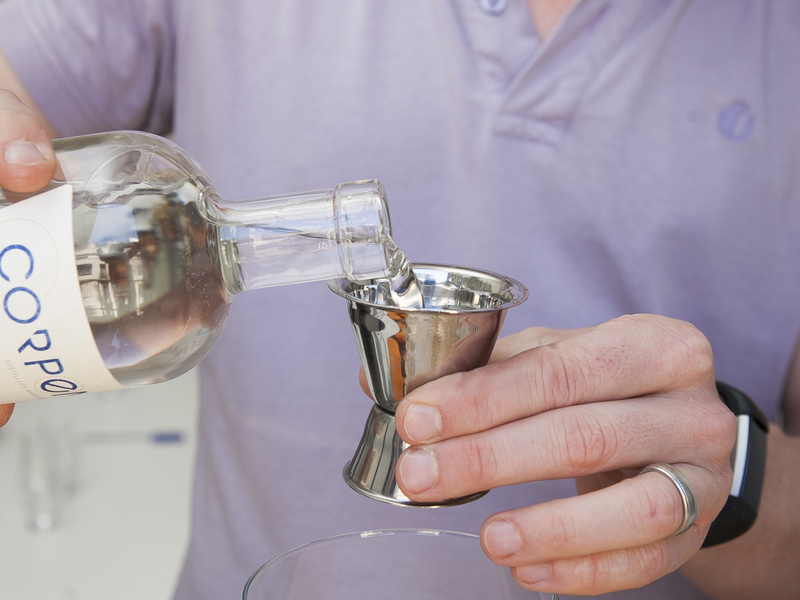 Learn how to make your own gin! 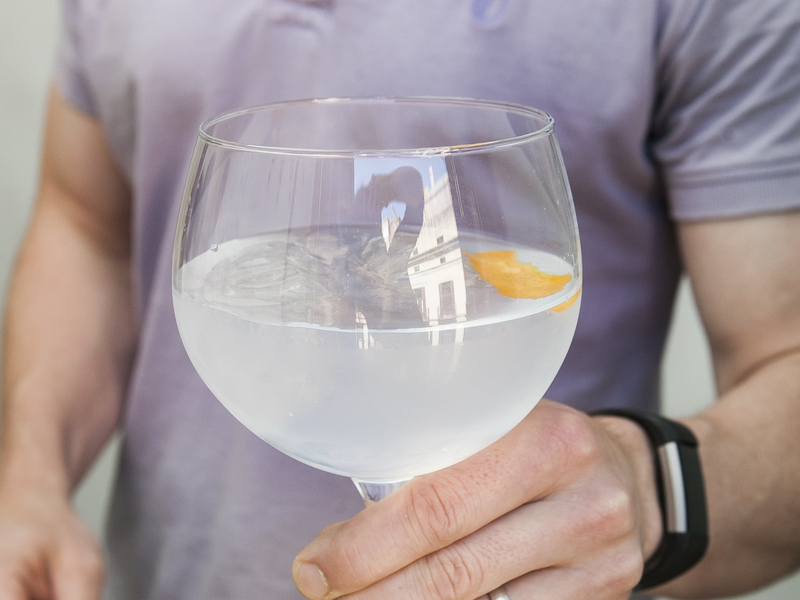 You’ll be surprised how easy it is – and regular gin will never be the same. 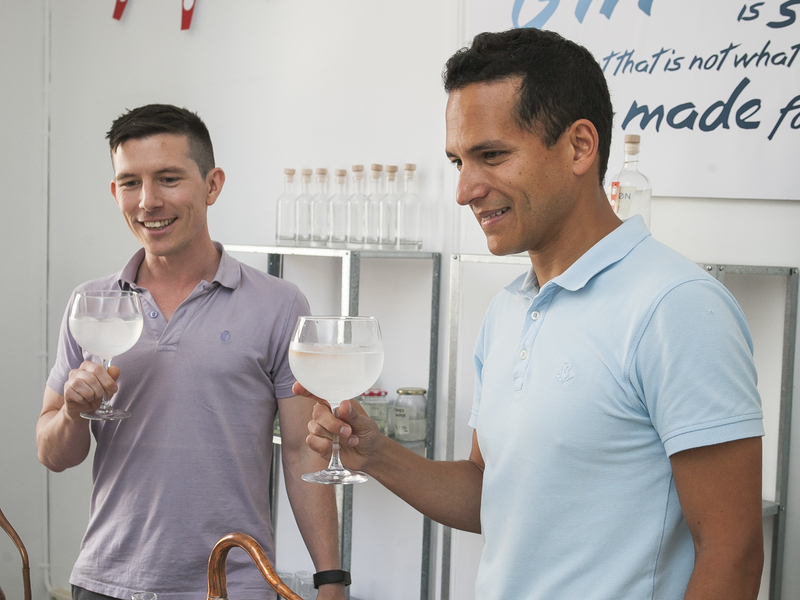 Join us for our fun, hands-on gin class; learn all about gin, from its history to the botanicals that go into its creation. 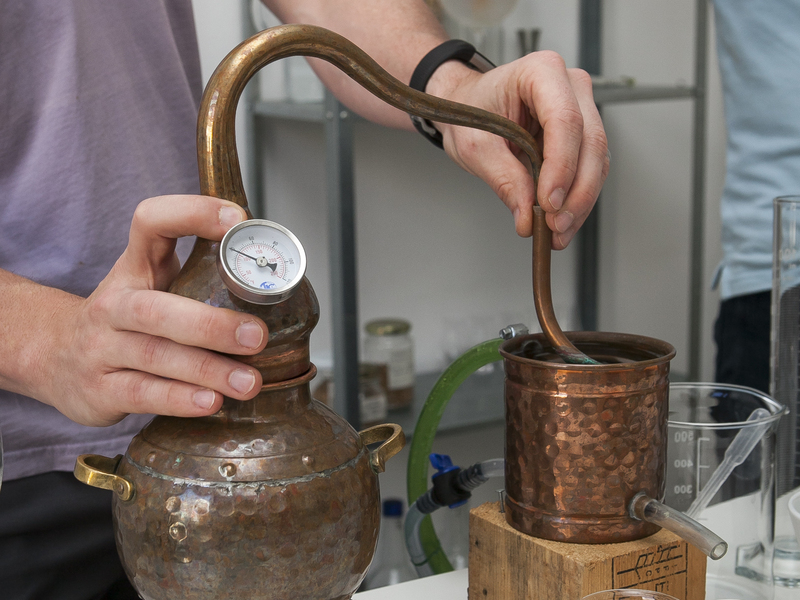 Then, using one of our copper stills MAKE YOUR OWN BOTTLE to take home. 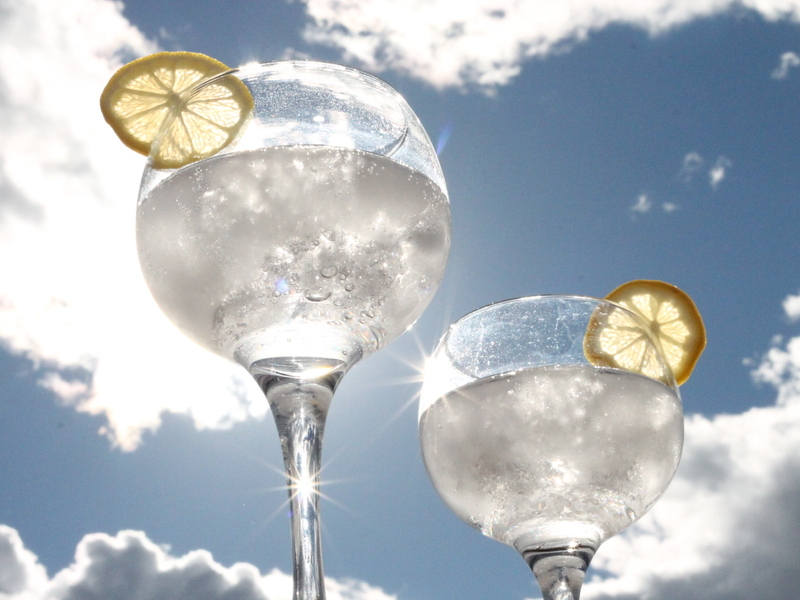 Your family and friends will be impressed, and you’ll get to drink delicious gin whenever you want. 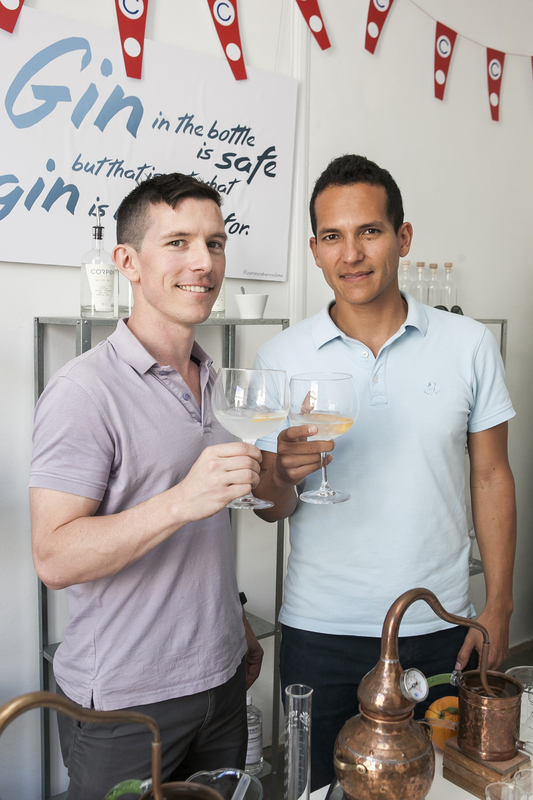 Everybody wins :) This event is mostly about gin, but includes pica-pica and small plates during the class. Aperitivo Gin Tasting Sample three of our gins, then we’ll make you a cocktail from your favorite. ,Appetizers Pica-Pica Enjoy some light appetizers to keep you from getting hungry during the class. 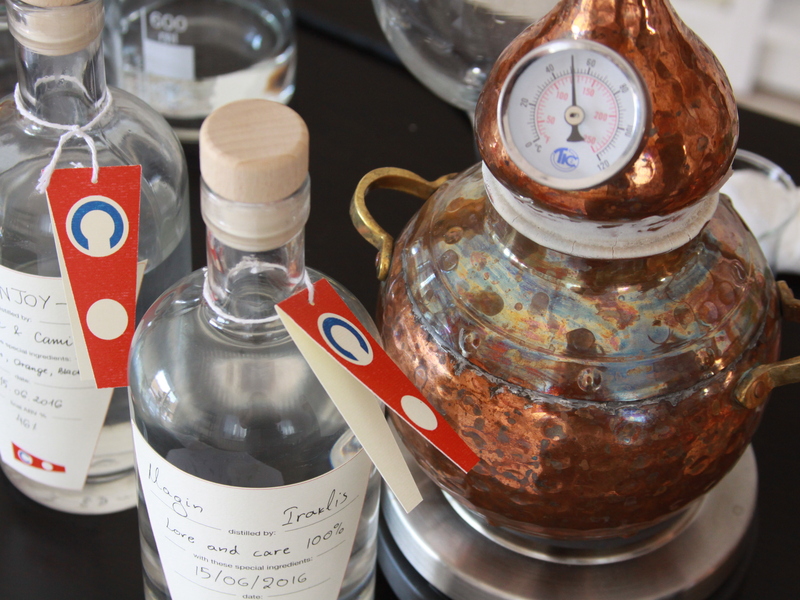 ,Class Botanicals We’ll tell you everything you want to know about gin, and how it’s made start to finish. 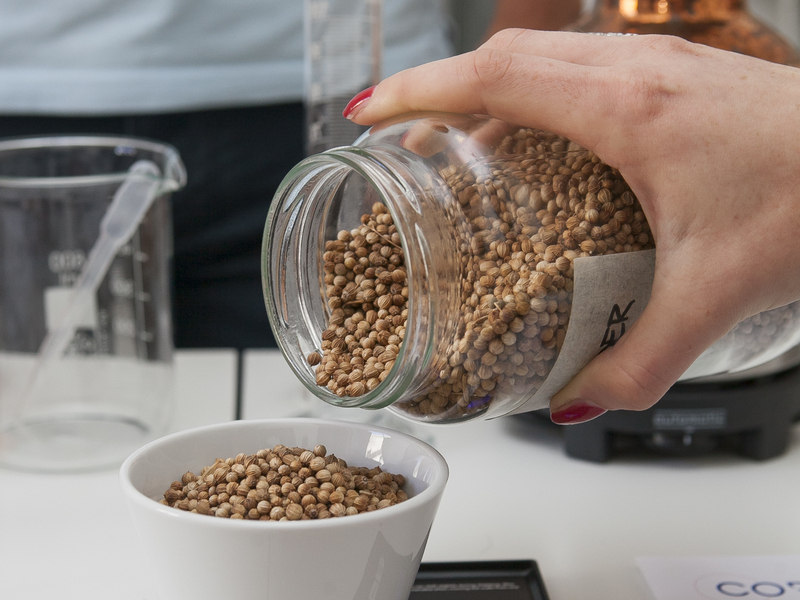 Smell and taste the botanicals, then pick the recipe you want to create. Measure and weigh your ingredients and craft the infusion to distill. 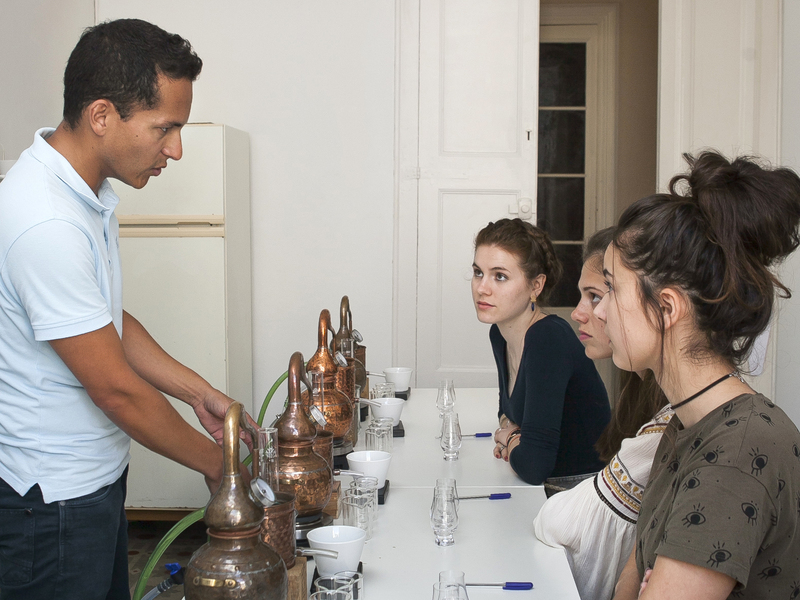 ,Distilling Your Delicious Gin Now it’s time to distill your infusion and see the real magic take place. Using one of our 1L alambic copper stills, you will heat your infusion, separating the vapor and collecting the cooled liquid alcohol. 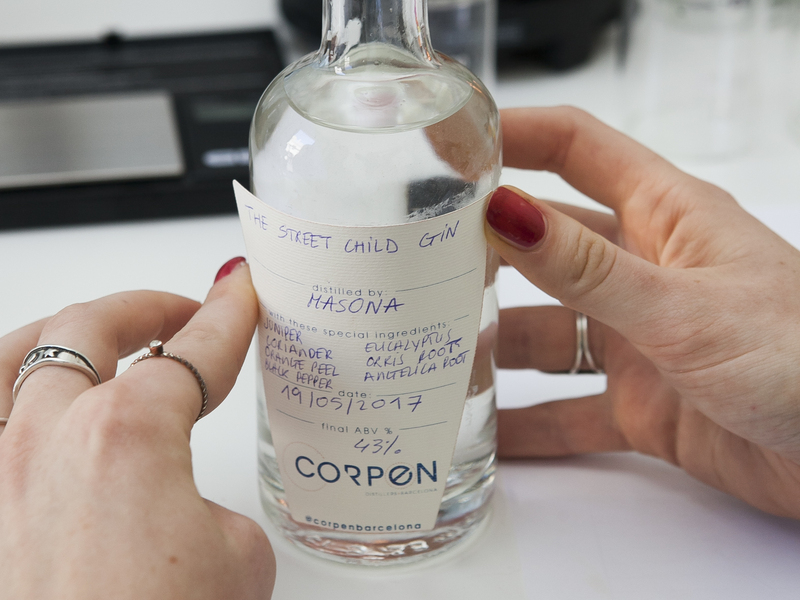 This is the essence of your gin; add a bit of purified water and bottle the finished product. You get to take this bottle home with you and show it off to all your friends. ,Celebration drink! 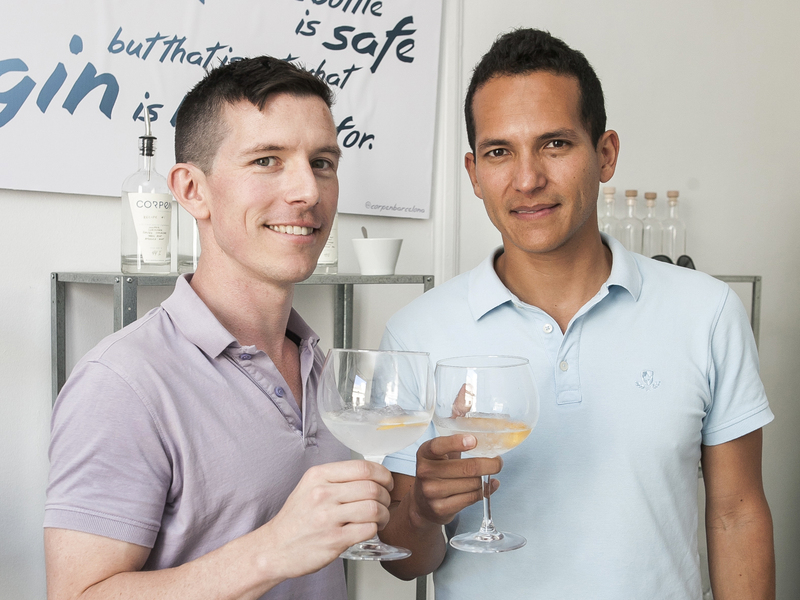 Enjoy the Fruits of your Labor Now that you’ve created your own gin, you have to try it. We’ll make you another drink and enjoy the view from our balcony.